Call of the Kings : The Mirror Black (aka Call of the Warlords 2) is under development from Gamalocus, the development is very slow but a lot of progress has been made so far. Unfortunately there is still no indication about the release date- but be assured, this game will see the light of day…someday. 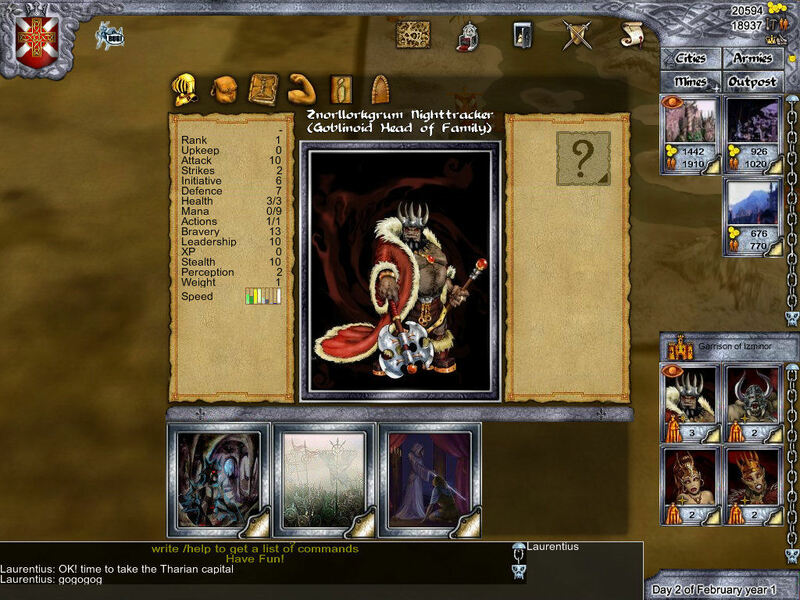 The setting of the game is high fantasy in a medieval world where feudal Empires rule the continents, and the noble Houses are engaged in a vicious contest for survival and power. It is a time of turmoil and with the old emperor at the brink of insanity and leaving no heir, all the nobles of the Realm realize that they have a legal claim to the Imperial Throne. Personal power struggles and treason leave everything – the economy, government and social order – in chaos. The goal of Call of the Kings is to win the Imperial Throne, take control of the Empire and hold it successfully against the other players. To accomplish this, each player controls a noble family of heroes and retainers. Players must rebuild the economy, and fund an army, by creating commerce in their towns, establishing trade routes and political alliances, building monopolies and collecting revenues from vassals. Online multiplay. Invite your friends. And then destroy them! Leave the game and come back later to issue new orders. 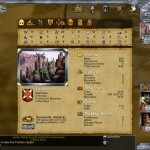 Stay online and command heroes and armies in conquest of regional capitals, dungeons and mines. Each game lasts 3-5 months. Interact with thousands of players in the same game world. Control your main family through the warfare and intrigue of the empire and participate in political decisions on a global scale. 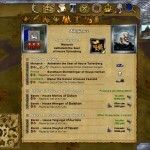 Move armies into combat using more than 160 different troop types of 6 different fantasy races. Recruit heroic hirelings and vicious monsters. Customize them using more than a 100 skills and enchantments. Accumulate Man Labor and invest it in construction and research. The players in a kingdom share the same technology. Improve your weapons and skills. Build a thriving infrastructure. Raise and train your heirs and hirelings. Select professions for your heirs as they grow into adults. Hunt for Dungeons and discover enchanted items. There’s more to running a kingdom than warfare, and the skilled use of the tactics of diplomacy can lead to great power and influence. Orc Lord : Matthew K. Nelson In Call of the Kings, your diplomatic options range from making donations to the esteemed Imperial Guilds in your quest for favor through to bestowing titles of nobility to other players. Annex the weak and outlaw your inactive or disloyal vassals. Join a Clan to get allies and persuade the other players to select you to be their Clan Master or the Clan Elder. Vote about Arch Enemies and share strategies with your clan mates. 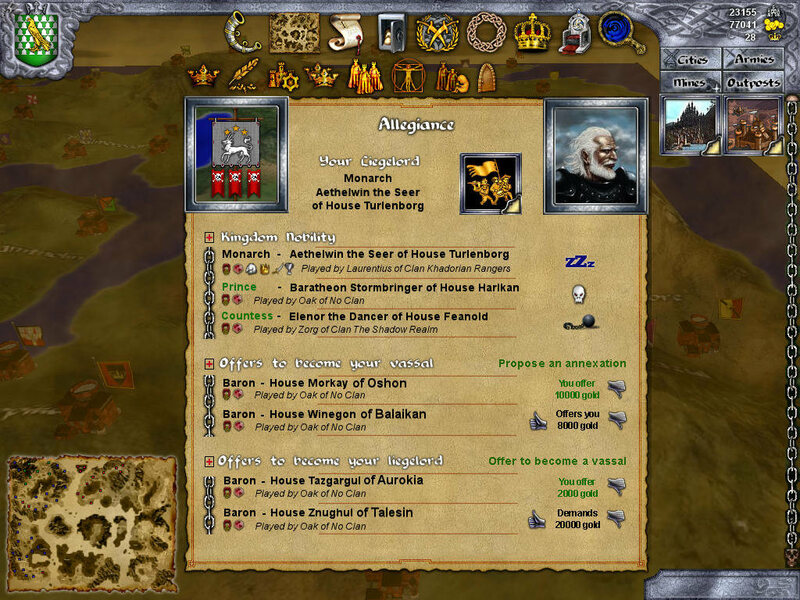 Money, troops and equipment can be traded to other players, making alliances of great value. You can focus on trade and commerce building a thriving infrastructure, or secure monopolies and trade centers in multiple cities – including those of your opponents! At the pinnacle of diplomatic success, you may find yourself a member of the Imperial Council. Here, your vote can influence the law of all Khadoria, decide the punishment of rogue estates, and even determine the fate of entire kingdoms! Military force is the muscle underlying all the kingdoms of Khadoria. In managing your armies, you may select from seventy-five different types of combat specialist, and then further customize your fighting force with upgrades to skills and equipment. 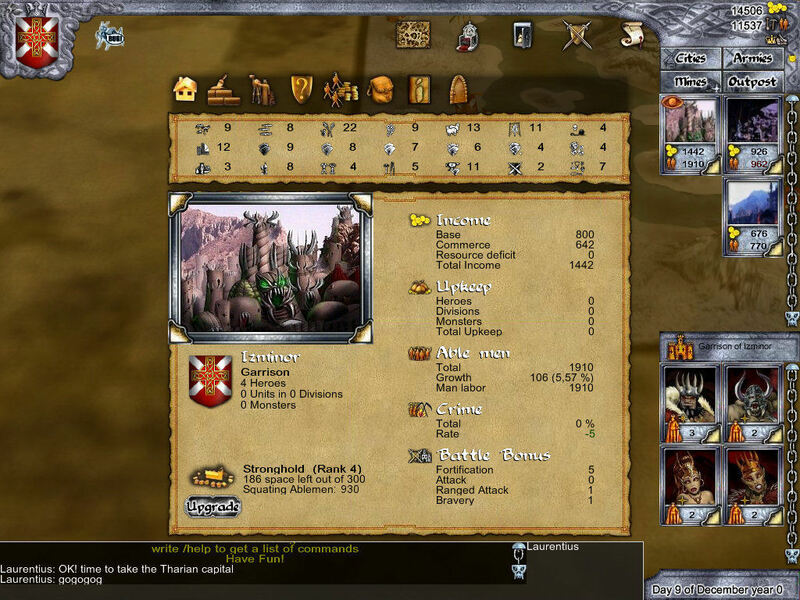 Troll Warrior : Thomas Reidy Troll footmen, elven archers and even huge monstrous drakes are just a few of your military options, and with experience, your forces will learn, harden and increase in power! Feel like dominating the oceans of Khadoria? Then build a mighty navy, complete with pirate guilds, artillery and ship-jumping marines! 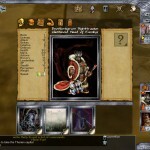 Unique heroes and army commanders enter battle wielding powerful magic and deadly weapons. The heirs of your noble heroes can be trained as Dragonknights, Wizards, Barbarians, Assassins, Tacticians or Crusaders, and may also claim the noble titles of their fallen lords! Magic thrives in Khadoria, but the Laws of Magic can only be mastered by a few. The Ten Laws of Magic include more than seventy-five spells, ranging in power from a simple rainshower to the destruction of cities by earthquake, flood and fire! Law of Air : Janet Chui In the recesses of your sorcerers’ laboratories, you may breed foul demons or hatch dragon’s eggs bought on the black market. And your scientists may, with the help of wizards, create war machines, flying ships and gigantic hovering citadels. In your temples, you may make sacrifices to the gods and receive their aid, or perhaps be visited personally by their incarnations! All successful rulers have a body of spies, saboteurs and deadly assassins. Underground resistance can be initiated in the cities of other players, allowing for subversive activities like theft, sabotage and propaganda. Key : Ulrike Kleinert Gold and magic items can be stolen, projects destroyed and ships burned. The city guards are on the lookout for illegal operations, but the best agents will always have a chance of getting close to the king, his heirs and commanders. From there, infiltration, bribery and assassination are amongst your options! The greedy Lord might even try to use the fear of hired assassins to intimidate his own mercenaries and in that way get away with paying them smaller salaries. Some wise opponents will be wise to build large walls around their cities, but that wont stop you from sending swift raiders to steal supplies and gold from the unprotected countryside. Hm, signed up for the preorder mailing list, but is there real time combat? I’d imagine it’s similar to Total War, but I can’t read anything about realtime combat anywhere. Reading all the stuff on the page, I found a section which stated that you just “move whole armies” and no single units… so I guess there is no real RTS style gameplay involved.